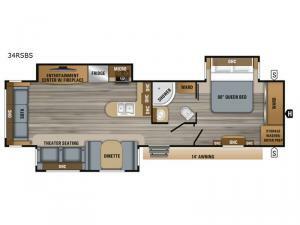 Can you picture yourself relaxing in the rear living area in this travel trailer? This model is perfect for a couple that enjoys plenty of space to invite other camper friends over or even the grandkids for a weekend away. The front master bedroom features a wardrobe, and a second entry into the bathroom. 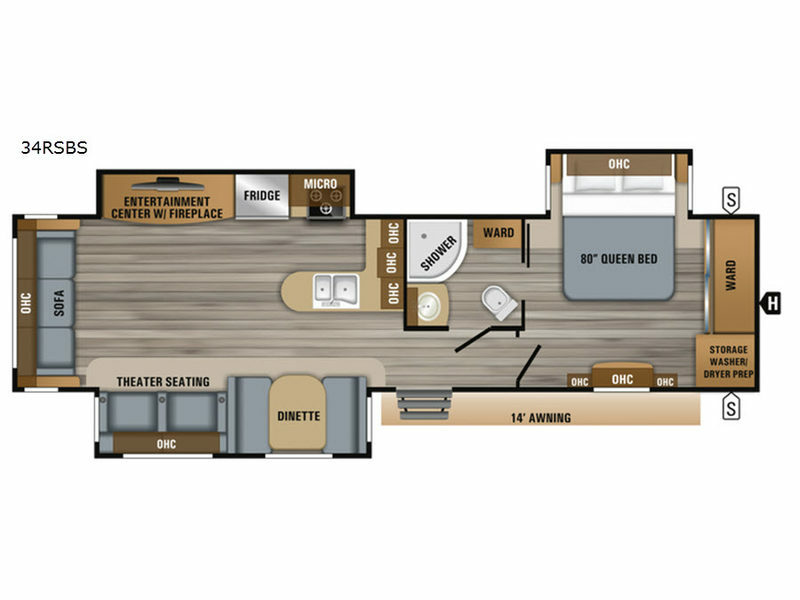 The main living and kitchen area includes dual slide outs for more floor space, theater seats, and additional furniture that will provide extra sleeping space for the overnight guests. You will love watching the big game or a show while staying warm from the fireplace. Stop picturing yourself, and start camping in this Jay Flight!